How not to kill a smoking bird! – Are the horrific messages on cigarette boxes causing more harm than good? I took part in a seminar in Waterford Health Park with Dr. Mark Rowe who is an expert in wellbeing. He is currently putting a book together on the subject and I have to say that if it’s as good and well researched as his talks it will change lives. During the seminar Mark spoke about the placebo effect and how pharamceutical companies have it down to a fine art with labelling, shapes and sizes of tablets etc. The Placebo effect is a mysterious, unexplained phenomenon where by patients who believe a medicine or technique will cure them are more likely to be healed (even if the placebo has no medicine in it at all). It was discovered during war times when a doctor ran out or morphene and gave a saline (salt water) solution to his patients via a drip. To his surprise it worked. Injured soldiers immediately felt pain relief and could be operated on while they thought they had been given morphene. This is probably the reason why so many alternative therapies work, because if a person believes something then it tends to assist with the effectiveness of the technique/medicine being used. With that in mind I began to wonder does the placebo effect also work negatively, and I queried Dr. Rowe on the matter and he said it does. So I was wondering about the side effects of certain drugs because some people tend to read these in detail. Perhaps it is better not to read the side effects in case you bring them on yourself!!! Anyway, that got me thinking about positive vs negative messages and the horrific wording images they put on smoking boxes (see image at the top of this article). If you believe in the placebo effect working positively and negatively then it stands to reason that negative messaging will amplify the ill effect a substance will have. Think about it, the messages currently state things like “Smokers die younger, smokers get cancer, heart attacks, strokes etc etc.” If these messages are being seen and are imprinted on the minds of smokers then everytime someone lights up a cigarette it will be reinforced further. Could this actually cause these problems in some who might otherwise escape them, could it cause the problem earlier or make the condition more serious etc. I think it would be worth gathering statistics on and we really need to be careful about all of our messaging as every thing our mind consumes has some effect on us, which is proven, but as yet still unexplained, by the placebo effect. Personally, I think messaging does need to be present but why can the language not be changed to positive messaging e.g. be free and become healthier, have loads more money just quit, feel better and live longer by stopping today, you have the power to beat the habit etc. etc. 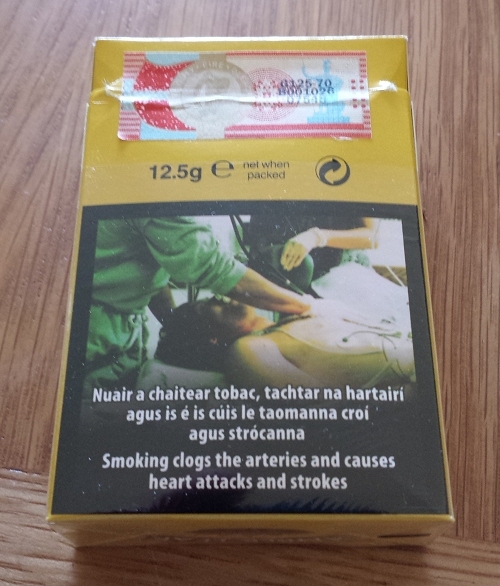 If you require help to be free of cigarettes I can recommend Richard Burke of Safeharbour Clinic who specialises in hypnotherapy to quit smoking, Richard has a very positive outlook and understands the concious and subconcious mind and has a very high success rate when it comes to stopping smoking. This entry was posted in Nothing much ado about Websites, Uncategorized on June 20, 2013 by Cian Foley.